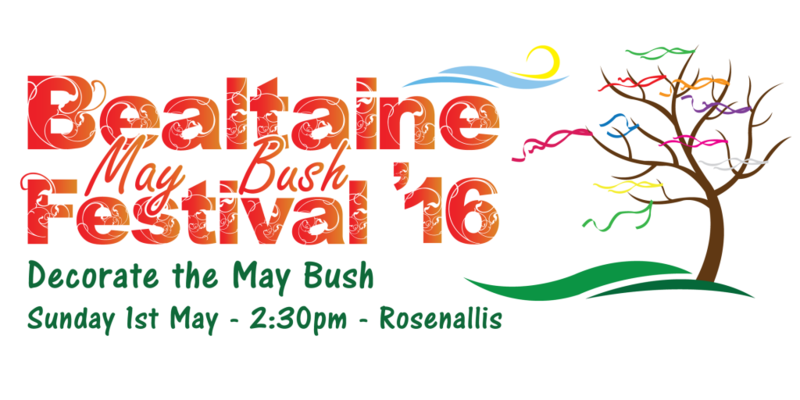 Decorate the May Bush at Bealtaine Festival 2016. 2:30pm Sunday 1st May, Community Centre, Rosenallis, Co. Laois. Face-painting, Slieve Bloom Bouncy Castles, Music by Simon Buckley, Refreshments.